Yesterday I watched an excellent presentation by Richard Dolan, author of UFOs and the National Security State: Chronology of a Coverup, 1941-1973, and A.D. After Disclosure: When the Government Finally Reveals the Truth About Alien Contact at a 2008 Conspiracy Conference. We’re sometimes quick to dismiss, or at least discount the claims of “whistleblowers” about various conspiracies, because it seems unlikely that anyone would be working so diligently against the best interests of humanity. However, Dolan backs his statements with ample evidence, much of which is available to anyone who cares enough to search for it via the Freedom of Information Act (FOIA). Of course, as you’ll see, government and military operations have become so corporatized and privatized, that perpetrators operate as though they are above the law. Just for the record, they’re not. I highly recommend that you take the time to watch his presentation. While it is very expansive, it only touches part of the surface. Truth can’t be “known” unless it is first heard. As such, unless you’ve been seeking this kind of information before, much of what you will hear will sound dubious, at best. Yet, not questioning or challenging the “truths” that we’ve been fed leads to tacit acceptance, by non-action. The quotes below aren’t new. They go back decades ago. Posted on Facebook by one of my buddies, they are timely now. From these statements, it would appear that disinformation is not simply the effect of governmental or political ineptitude, it is a policy; an ethos that the government, itself a private corporation, runs by. None of this is actually “legal,” except if you virtually “own,” influence, or largely control all the avenues of perception. What are the avenues of perception? As you will see, these elements have, for a long time, been in corporate pockets. This is not to say that there is a concerted effort to “shackle” humanity. Yet, it has happened, whether the effort was concerted, conspiratorial, or not. 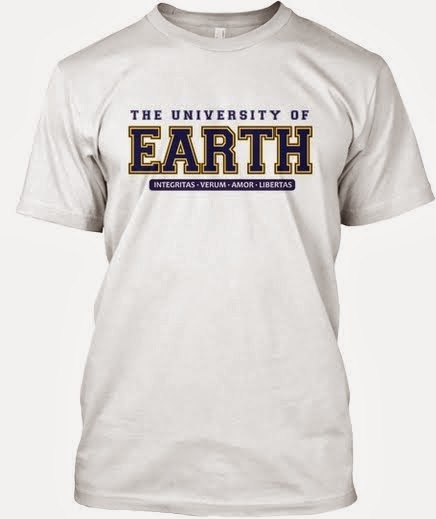 Get Your U of Earth T! In bringing this to your attention it is not my intention to suggest that you prepare for World War III, even if some are suggesting that this is “the elite’s” intent. What “the elite” want to do is none of my business. My reminder here is that fear is the fuel that gives these people, or whatever they are, their power. In essence, fear is your power, not recognized, nor used by you. Conflict keeps one out of balance, as does disinformation. Trusting politicians and other agents of this vast social deception allows them to continue the ruse. It is not necessary to “oppose” these people, or otherwise try to get them to stop what they’re doing. All you have to do is be the best you that you can imagine. Imagine the most wonderful world that you’d enjoy living in. What would it look like? How would it feel? Beyond imagining, take active steps to make your vision part of your daily life. Become the person that you admire most. Enjoy what you are bringing into existence. If you don’t bring your heart’s vision to life, who will? Richard Dolan’s presentation is an eye opener. If you’re motivated to making a change to your life after watching, begin by syncing up your powerful, harmonious, inspired mind to the heart. Reblogged this on Aisle C.
“What “the elite” want to do is none of my business.” Is he serious, or simply careless in his writing. This would be an incredibly disingenuous statement. It goddam well is all of our business, and furthermore, our business should be taking down and taking OUT the so-called elite. End of comment, just look for opportune moments! Thanks for the reaction. What they do isn’t your or my business with regard to stopping or opposing their actions. What IS my business, and I suggest would be yours, is to take active steps to create the world of YOUR desire, as I am doing mine. While it may appear as though little is being done, one of the first things that you take away from them is FEAR, as you are using your power positively, enthusiastically, and harmoniously, to create the reality of your choosing. Taking steps to “oppose” “the Elite”, to “force” them to change, only strengthens what they’re already doing. Placing our energy elsewhere, for example, by not watching the crime shows on TV, not listening to the news. Not taking the pills that can have side-effects that include “death,” and instead, balancing one’s body, clearing one’s mind, and creating a peaceful place within one’s self. While they may sound too simple, these steps can change our individual, and collective reality.